Free MOVIES Box – Watch hundreds of HD movies for free! Now we have an Android version available!!! A FAVORITES section was added to the latest version of the app. Star your favs and find them in a list accessible from start screen. Watch hundreds thousands of HD movies for free! Free Movies Box is a Windows app that allows watching full-length, uncut Hollywood movies in HD quality and standard quality. 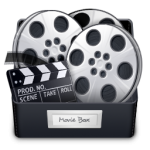 Free Movies Box is a free to download and install application and all movies are free to watch. List of the movies is updated every week. The app shows carefully chosen movies organised in people’s favourite genres - like action & adventure, animation, comedy, documentary, drama, family & kids, foreign, horror, music & performing arts, mystery & suspense, romance, sci-fi, fantasy, sport & fitness, war, western. You can search, find and watch hundreds thousands of movies. Application is ad-supported and offers possibility to remove ads and other features if you pay a small fee subscription. Why Use FREE MOVIES BOX? App is FREE to download and install. It costs nothing. All movies are FREE to watch, no costs are required to see a movie. No low quality movies! No trailers, only full movies! List of movies is updated every week. 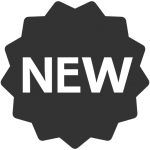 New movies are added to the actual catalogue. App offers a search feature that allows finding movies without any effort. Best movie app I've run across. Loved Naked Soldier, freakin awesome!!!! Nice free movies to watch. GREAT MOVIES! LOTS OF FREE MOVIES! This app is worth the space on my PC. I saw a lot of movies on your app. Love it!